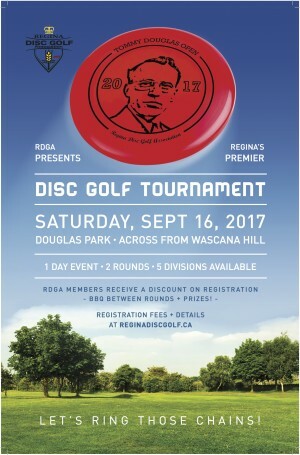 Regina's Premier Disc Golf Tournament. 2 full rounds with a final 9 for top competitors. The first 50 Registrants receive a players pack including our special edition TDO Disc! Refunds for money received by RDGA ONLY are refundable up until the Registration Deadline. Website and Paypal fees are not included in this.